It’s up and running. 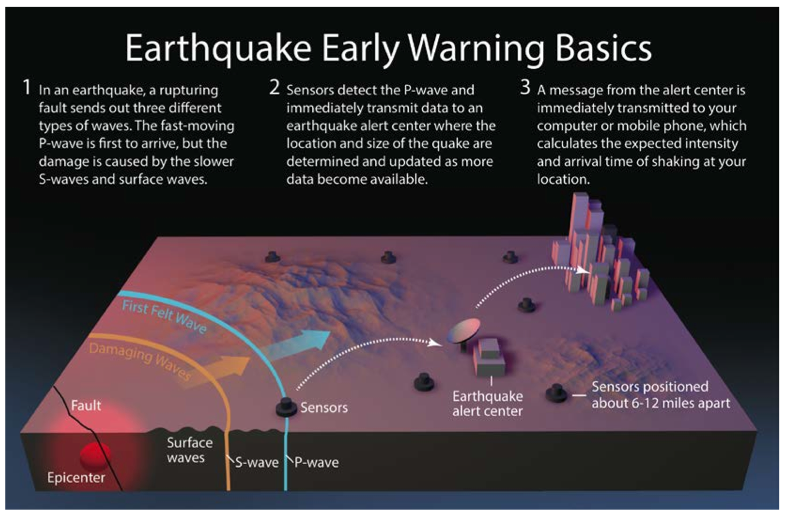 The “it” is the West Coast system of sensors designed to give authorities in government, utilities, schools, businesses and average citizens an early warning of a coming earthquake. It will serve California, Oregon and Washington. Doug Given is the early earthquake warning coordinator for the U.S. Geological Survey. He spoke at a press conference announcing the completion of the project and said the system is finished but at first will only able to be used by some and not all. “We’re making a large change from a production prototype in pilot mode to an open-for-business operational mode,” he said. That open for business mode analyzes data in an instant and send out alerts that give several seconds to up to a minute notice that an earthquake is about to happen. That warning can be — in many cases — enough to stop trains, shut down industry, start a backup generator and give students in schools time to seek shelter. “The system is not yet finished, it’s not complete, there is a lot of work to be done, however there is a lot of capability in the system as it exists today to the point it can definitely be used,” Given said. At this point the sensor network is half done. Funding is in place to finish the job. California’s system will be done completely in two-years and during that time frame the two Pacific Northwest states will see their system about two-thirds of the way built. The reason mass public notification is not available yet is partly because of the current cellphone technology being too slow to do instant delivery. “Most folks expect to get the alerts on their phone and that is of course the preferred way that we’d like to get it into everybody’s hands. Unfortunately the technology that is built into your phone to send you notifications was not designed with earthquake early warning in mind,” Givens said. The funding for the system has been pushed by California Democrat Rep. Adam Schiff. He says in the future it will be important that people understand the alert system and what to do when they get an alert. Equally important is what not to do. A: Agencies are then offered three turn-key approaches.for use in their own agencies. Q: Who came up with this tool? A: The PIA Partnership, originally established as the Company Council of Executive Officers (CCEO) in 1996, is a group of insurance companies that share resources and work closely with PIA National to conduct research and develop tools and resources designed to benefit professional independent insurance agents. Accenture did a survey of small businesses and found small commercial insurers aren’t giving small businesses what they want and need most. That’s a simple and easy purchase experience. The survey — titled Winning the Hearts and Minds of Small Business Insurance Buyers — concludes that small business owners are frustrated. “Small businesses are extremely frustrated with the process of commercial insurance, whether they purchase directly or through an agent. Many report that they do not trust the sales process or fear that they are inadequately covered by the policies they eventually buy,” the report noted. As a result, many believe they must find additional input from other sources to make an insurance decision. Most aren’t clear about why insurers collect data, or about the language of insurance. Many were flat out confused about how much insurance they really need and what that insurance does. They want a quoting process that is easier and faster than it is now. Some business owners want to start the purchase process online. However, they are quickly overwhelmed by the complexity of insurance and can’t find what they need or why. Thus, instead of being able to get the job done quickly, they need more time and have to consult with other — often non-insurance — entities. The report notes small business owners are put off by sales pitches. This applies to commercial insurance and with personal lines insurance as well. Those pitches leave them jaded and cynical and desperate for unbiased advice. That’s advice they will get — and need to get — before they make an insurance purchase so they view it as slowing down the purchase process. Another complaint? Commercial policies aren’t flexible. They want policies that will adjust to their needs over time and information that is streamlined to them. Small business wants artificial intelligence to let them know how to update policies and improve coverage. Mostly, these business owners want clear, non-jargon language. Accenture’s report makes it clear that this is very important for the future of the business. In the small insurance market no carrier has more than 4% of the market share. 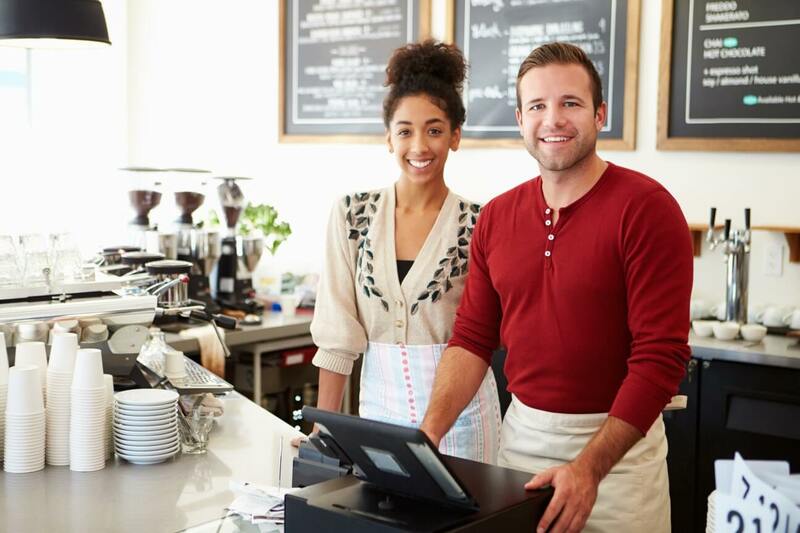 Plus, by 2020 a whopping 60% of the nation’s small businesses will be owned by Millennials and those from Generation X. That means a revamp of how business is done is in order. “Carriers that want to win need to leverage design thinking co-creation with customers, imagination, and experiential research capabilities to create and rapidly refine their target segments, channels and touch points,” Accenture’s study said. We all know about the growth of cyber insurance and predictions of profitability from that line. Another line that’s getting increasing attention is insurance for pets. Some in the U.S. these days forgo having children and focus — instead — love and attention on pets. They are treated as children and family and part of that attention means health insurance for those pets is needed and important. More and more people are discovering the benefits of pet insurance. The market research company Packaged Facts said pet insurance premiums hit close to $1 billion in 2017. By 2022 — the firm predicts — pet insurance will be double that at $2 billion. Package Fact research director David Sprinkle said as consumers become more aware of the availability, growth could hit about 14% per year. Pet insurers are also doing what they can to make themselves known. Partnerships: Pet insurance companies are developing partnerships with veterinarians, employers, animal shelters and breeders. These partnerships can help grow attention for the line for consumers who need such protection for their animals. Consumer Perception: Many pet owners don’t get the insurance because they think it costs too much and covers too little. Or they think it isn’t necessary at all. Look for consumer education efforts to grow and more information getting to them about the value of the insurance and what it covers. Payment Options: Like health insurance for people, paying for the insurance can be done a number of ways. Pet insurers are adapting similar payment options ranging from automatic withdrawal from checking accounts or credit card accounts to pet health savings accounts. Mobile Apps & More: Insurers continue to streamline interaction between the pet owner and the company via mobile apps and other software. Health Codes: Efforts are also underway to standardize the line which will make processing and making claims easier and more efficient. Exotic Pets: Right now the insurance that can be purchased for exotic pets like birds or reptiles is limited. Efforts by insurers are underway to remedy that and create policies that will protect these rare pets. Here’s how things work. Under the National Flood Insurance Program’s (NFIP) agreement insurers can sell flood policies under the Write-Your-Own program. What they can’t do — under a contractural clause — is cancel those policies and sell their own, less-expensive plans. Currently 86% of the NFIP policies sold are from the WYO program. Now FEMA (Federal Emergency Management Agency) is changing things and removing those restrictions. And it is doing this without action by Congress. Or at least ahead of what Congress might have planned or not planned at all. A private insurer can now offer private flood insurance to an insured as long as it meets certain criteria. The new FEMA/NFIP policy is called code 26 and it allows the cancelation of a policy as long as a policyholder has purchased a similar policy from somewhere else. It also has to be on the same property that was insured by the NFIP. If it is in mid-term, a refund can be given. In the past changes like this could only take place at renewal. Other than looking at getting more private insurers involved in selling flood insurance, other changes are coming. On January 1 next year rate increases are coming to make properties more actuarially sound. Some subsidies are being phased out. Privacy and the sharing — and keeping — of data collected via the Internet is getting a lot of attention lately. California just passed and Governor Jerry Brown signed into law the nation’s toughest consumer data protection law. The Senate Commerce Committee is now looking at a set of national rules to regulate how companies use your data. The Internet industry wants a lighter government burden and with a Republican-controlled Congress it may get what it wants. From their perspective, critics and privacy advocates say — unfortunately — the law being looked at will keep states from enacting their own, stricter privacy laws. Companies need and want the data — where you’ve been, what you view, sites you frequent, who your friends are, etc. — to market their products. The concern is special interests who mine that information to sell for a profit. Those supporting a weaker law that limits what states can do include AT&T, Amazon, Google, Twitter and Charter Communications. They want a law that negates what they term are “inconsistent” state data safety laws. Apple — who attended the recent committee hearing with the other companies — is more in favor of a stronger federal law. Doing away with Obama administration protections, President Trump — favoring less restrictions — signed a bill into law last year that allows Internet providers to sell information about the web-browsing habits of their customers. That’s not going to work for consumer advocates. Public Knowledge is one of the consumer groups most concerned at a proposed soft law and what the Trump administration favors. Its policy counsel is Allie Bohm. She said a lot of companies don’t just use data for marketing. Many will restrict what some people can see. She cited African Americans not getting access to housing ads and older people not being able to see job postings. Privacy advocates also want legislation that takes into account, and tracks how data is collected, used, kept, shared and sold so it cannot be abused. It’s what is being done in Europe’s 28-nation European Union. Companies have to justify what they’re doing. California’s law is the most restrictive in the nation. It requires companies to inform customers — upon request — about what data they’ve collected and then how it is being used. In return companies can give discounts to people — or pay them outright — for the use of their data. Compensation will depend on how much the company gets for the data. Amazon’s general counsel is Andrew DeVore. His firm doesn’t like the California law and he said the Senate needs to consider what’s wrong with California’s take on data capture and sharing. Amazon contends it defines “personal information” too broadly. However, California’s law won’t take effect until 2020 and it only applies to the Golden State. And while a lot of Internet-based firms aren’t happy with data collection part of what California is doing, they are equally concerned with the state’s take on the Internet of Things (IoT). Wells Fargo has admitted to forcing 600,000 drivers into buying auto insurance. Now government officials are trying to decide how to best make those drivers whole and how to best punish the bank.The company is working with officials to solve the issue. In a statement, Wells Fargo said, “We regret how this issue has impacted our customers” and indicated it is doing all it can to make things right.It’s not enough says Joseph Otting who is the U.S. Comptroller of the Currency. “We are not comfortable where we are with them,” he told the Senate Banking Committee. His statement of not enough has to do with how Wells Fargo forced over two-million people with auto loans into its insurance department. The bank continues to say it regrets what it did to its customers and has been working hard to remedy things including paying a $190 million fine last year. In April of this year, Wells Fargo paid $1 billion to regulators for other abuses. Wells Fargo says it’s doing all it can to find the drivers that were damaged and making things right. That — too — is not enough for Otting and he continues to reject Wells Fargo’s plan. If you’re not familiar with the program, the Consumer Liaison Program was set up in 1992 and gives consumers access and — more importantly — interaction with members of the NAIC. The program funds representatives of various groups and lets them participate in NAIC meetings by providing travel expenses. 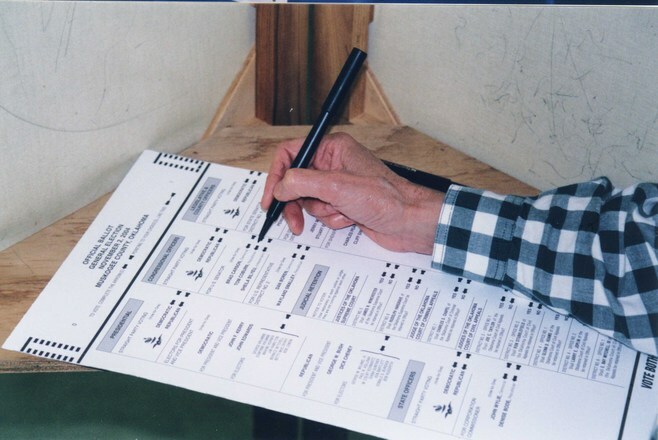 On ballots around the nine PIA Western Alliance states — Alaska, Arizona, California, Idaho, Montana, Nevada, New Mexico, Oregon, Washington — were issues ranging from Oregon’s huge corporate tax to legalizing recreational marijuana use to the death penalty to insurance commissioners. The biggest campaign in the nine states in terms of spending is Oregon’s Measure 97. It was a contentious contest and supporters and opponents set a state spending record of $42.2 million. Measure 97 went down in defeat 58% to 42%. If passed, it would have put a 2.5% tax on corporations whose total income is $25 million a year or more. And that’s gross and not net. It was designed to raise $3 billion a year for state coffers and would have been the largest tax increase in state history. Opponents said the 2.5% tax would likely end up being more than 10% since tax costs are usually passed on to consumers and sometimes goods and services move through a bunch of companies before getting to the consumer. Estimates from Oregon’s Legislative Revenue Office said the average Oregon family would end up paying $600 more a year for goods and services. While proponents are crowing, they shouldn’t. Governor Kate Brown and the Oregon Legislature will likely find other ways to raise taxes to fill the state’s projected $1.35 billion shortfall. Washington voters returned Insurance Commissioner Mike Kriedler to a fifth term. He continues to be the longest serving commissioner in the nation and beat his opponent Richard Schrock 60.13% to 39.97%. Montana has a new Auditor and Commissioner of Securities and Insurance. Republican Matt Rosendale defeated Democrat Jesse Laslovich by a 55% to 45%. Former commissioner Monica Lindeen — who could not serve another term — ran for Secretary of State and lost that bid to Republican Corey Stapleton 57% to 39%. • No ballot measures in Alaska impacted insurance. The raise will go to $12 per hour and it will be phased in over the next couple of years with it rising to $10 next year and getting to $12 by 2020. The state has 930 people on death row and since 1978 just 15 have been executed. Appeals take decades. This law changes the amount of time it takes and restricts legal challenges to five-years.